And keep going to the range. It’s not enough to play as many rounds as you can. 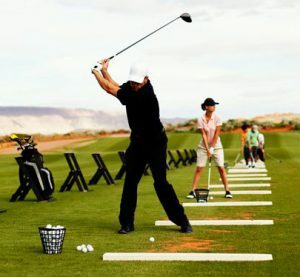 Hitting balls at the range helps to groove a repetitive swing (hopefully, not a bad one) and will keep the number of “I haven’t played this poorly in years!” rounds down. So go to the range early and often.